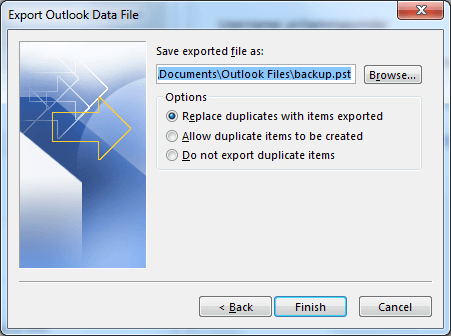 Most people seem to use MS Outlook as their desktop email clients for their professional purposes these days. This is due to the interesting features and easy usage the software provides. MS Outlook for many, is the very base of their work. 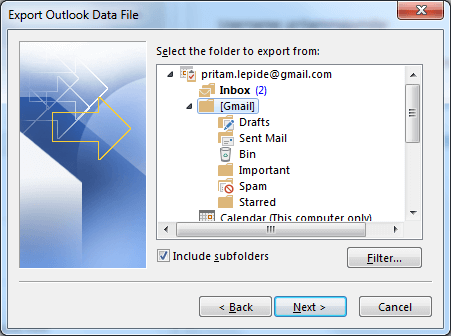 MS Outlook’s files contain the user’s emails, contacts, notes, journals, as well as calendars. It is extremely important that they are kept safe lest you tend to lose important emails and documents. This necessitates the periodic back-up to a safer location. In case you’ve experienced a system crash, you’d definitely realize how tedious its effects might be. If you haven’t, you’re pretty much lucky. But we can’t always be that lucky, right? What happens as a result of a system crash, is that; saved mails are lost. Also, contacts and other miscellaneous emails and related data are lost. This is another reason why you need to make use of the back-up. Having understood why the backup is needed, one might wonder what exactly PST files are. To that, the following passage gives a brief description of these files. 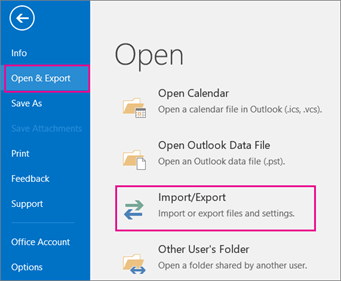 Going forth, are certain points to note; when you intend to export or move your mailbox items to a .PST file. 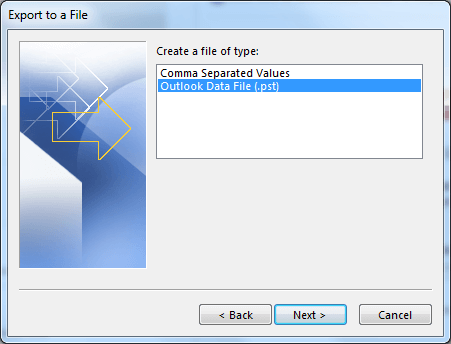 Click on ‘File’, located on the top part of your Outlook ribbon. 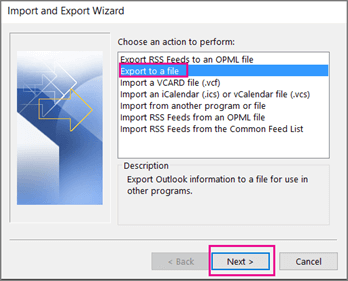 When Import and Export Wizard appears, choose ‘Export to a File’. Click Next. 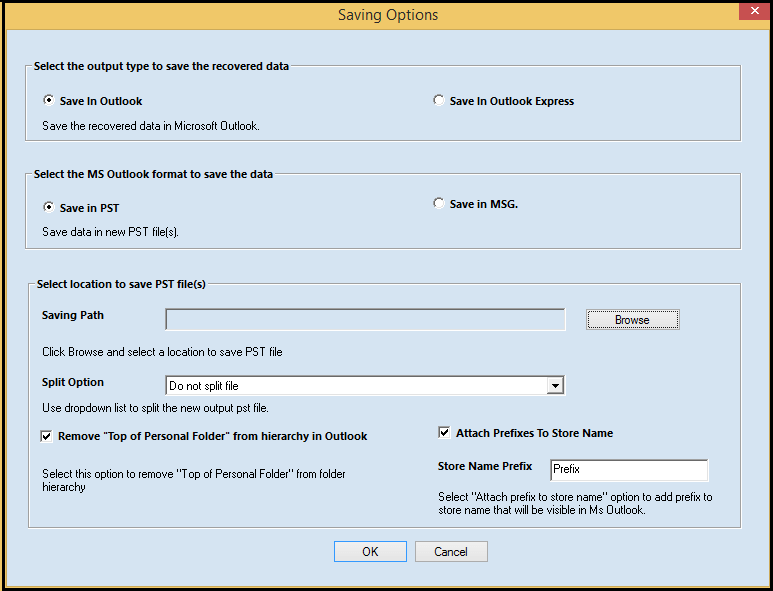 Click ‘Outlook Data File (.pst)’ and then click Next. 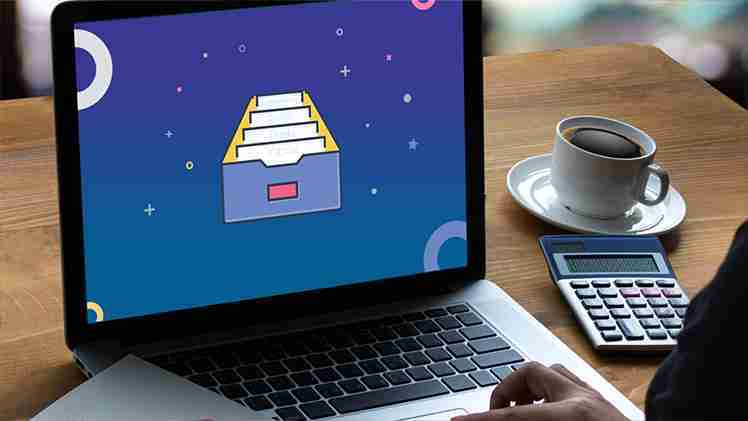 To maintain secrecy of your files, enter and confirm a password, and then select OK.
Having said that, if these steps do not produce the desired effects, you’ll need help of a 3rd party tool. 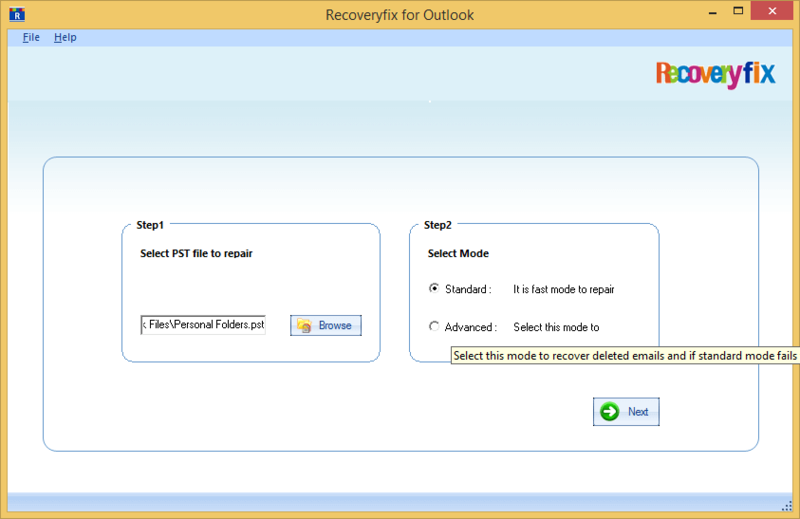 And therefore, Recoveryfix for Outlook PST Repair becomes very important. The tool being empowered with all the necessary algorithms, the software holds the capability of repairing the corrupt PST files easily. The tool recovers all item of the mailbox, ranging from emails and calendar to contacts and attachments. Moreover, the Tool does not break the hierarchy. The tool recovers Inbox, Sent Items, Outbox, & other folders in accordance with their respective hierarchies. 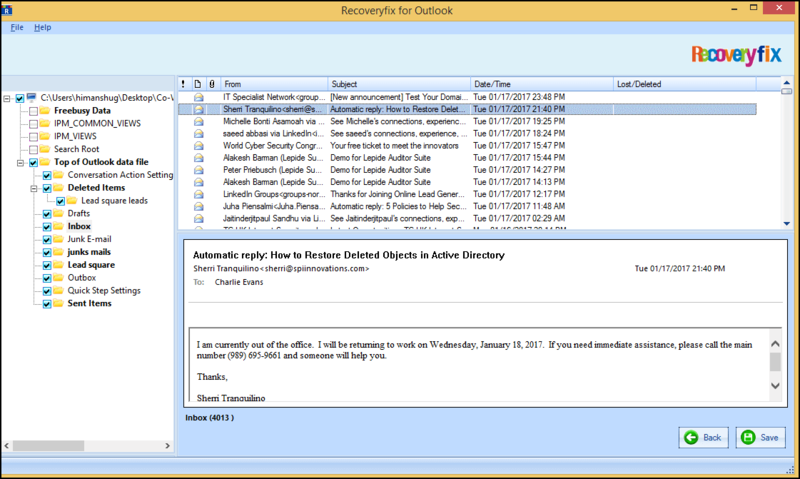 Recoveryfix for Outlook PST Repair enables you to preview the recovered items prior to saving them. As a result, you may very easily verify the content of a particular PST file right after recovery. Open Tool and browse to select the PST file to repair AND Select mode. Click Next. Browse Location to save File. Attach a prefix. Click OK. The Process is Finished. Click Ok.
Outlook is undeniably, one of the most important as well as professional communication platforms. However, just like all software, Outlook is also subject to errors. As is customary for any individual, the initial reaction to these error is panic. But it is here, that a PST Repair tool comes in handy. Recoveryfix, a name that in itself stands apart from all others; has its own uniquely designed tool by which many errors can be avoided, amended and lost files be recovered.